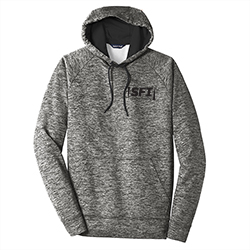 Men's Heather Fleece Hooded Pullover. 100% polyester moisture-wicking technology. Raglan Sleeves. Front pouch pocket. Sefl-fabric cuffs and hem.